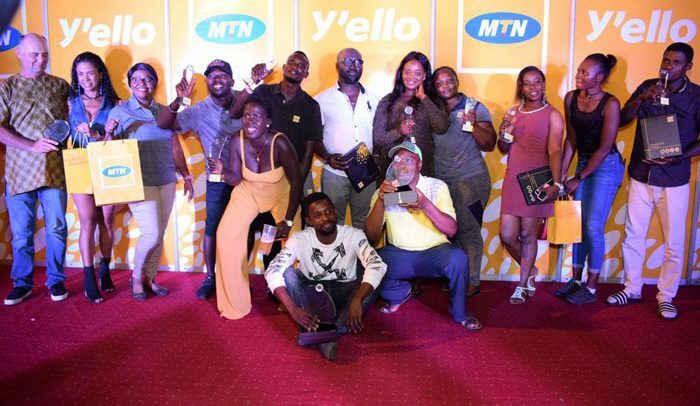 MTN has explained its continuous support for golf in the country. To the company’s officialdom, rallying behind the sport offers them an opportunity to receive constructive feedback on its services from its corporate clients. “Playing golf gives us a breather to entertain ourselves and take a break from the stressful work environment. As a business, we find the invitational golf engagement very important because through our interactions with you we receive constructive feedback on our services which we take seriously,” he indicated. “MTN’s decision to come to Bogoso is in recognition of Golden Star Resources loyalty to the MTN brand all these years. We hope to take our relationship to the next level in 2019 and beyond, for our mutual benefits. I am sure many of you have heard about our 4G plus technology which is bringing faster speeds to users,” Tiyuniba Mohammed added. A 40 stable ford points handed Elliah Denis the men’s Group A ultimate prize, beating Yaw Anarf by just a stroke, who also beat Foster Korang on count back. Frank Nsor recorded a 42 stable ford points to pick the men’s Group B category, while Isaac Blanney and Eshun Moses followed with 39 and 38 points respectively. It was Vincent Cardin who won the men category C with 34 points, with Isaac Addae (33) and Martin Cochrane (30) in that order. Korang again dominated men’s longest drive, while Ben Bah left the course with the men’s closest to the pin prize. Floria Hurtubise finished first in the ladies category A segment with 38 points with Agnes Adams following with 35 points. Francisca Ackah picked the ladies group B top prize with 29 points , while Ruby Sanoah finished second with 25 points. Rosemond Coggin emerged as the ladies closest to the pin winner.